For years, the Toyota 4Runner has been setting the standard for SUV performance and utility, and the new Toyota 4Runner is no different. 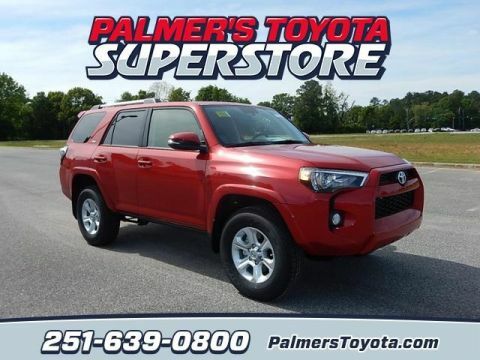 This highly decorated SUV has even earned Kelley Blue Book’s “Best Resale Value: Midsize SUV/Crossover,” which lets you know that choosing the 4Runner is a solid investment. 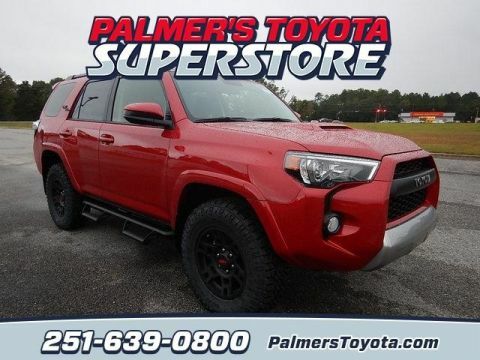 Learn more about the changes this off-road-ready Toyota SUV has seen over the years, and then browse our 4Runner inventory here at Palmer's Toyota Superstore in Mobile. Contact us to schedule your test drive! 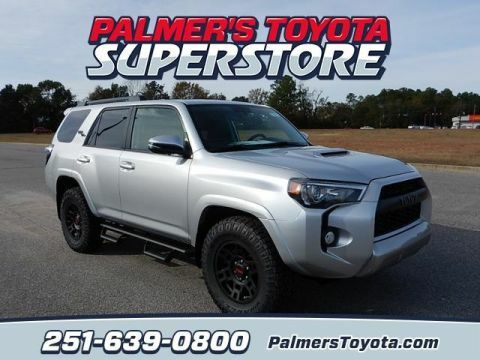 Silver 2019 Toyota 4Runner SR5 RWD 5-Speed Automatic with Overdrive 4.0L V6 SMPI DOHC Recent Arrival! 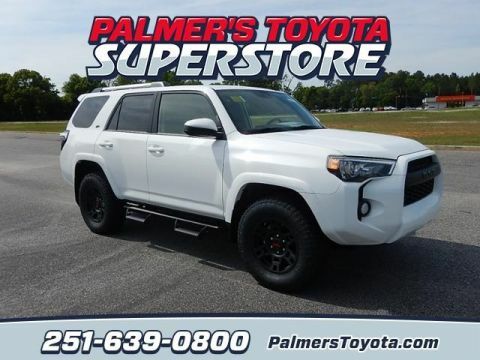 White 2019 Toyota 4Runner SR5 RWD 5-Speed Automatic with Overdrive 4.0L V6 SMPI DOHC Recent Arrival! 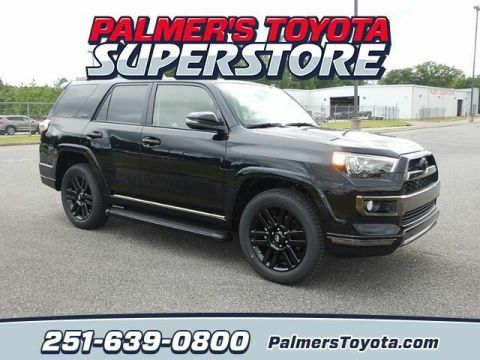 Gray 2019 Toyota 4Runner SR5 Premium RWD 5-Speed Automatic with Overdrive 4.0L V6 SMPI DOHC Recent Arrival! Gray 2019 Toyota 4Runner SR5 4WD 5-Speed Automatic with Overdrive 4.0L V6 SMPI DOHC NEW ARRIVAL!!!. 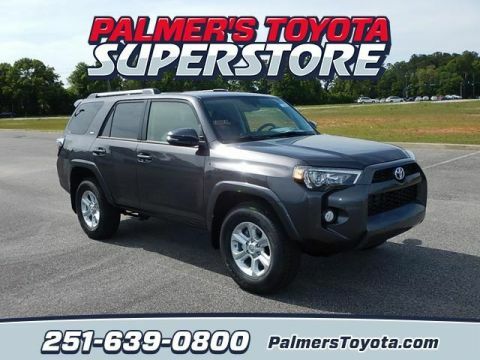 Gray 2019 Toyota 4Runner SR5 Premium 4WD 5-Speed Automatic with Overdrive 4.0L V6 SMPI DOHC Recent Arrival! 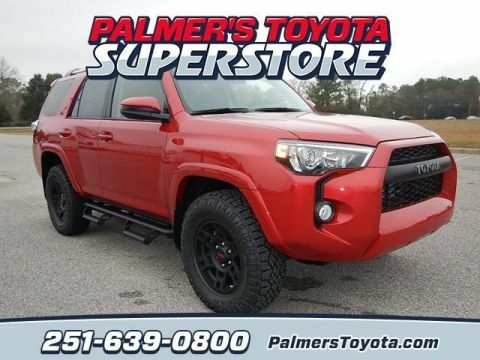 Red 2019 Toyota 4Runner TRD Off-Road 4WD 5-Speed Automatic with Overdrive 4.0L V6 SMPI DOHC NEW ARRIVAL!!!. 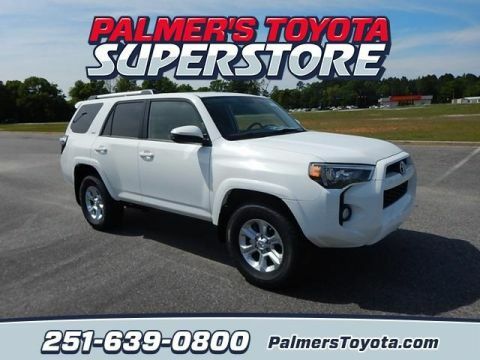 White 2019 Toyota 4Runner SR5 4WD 5-Speed Automatic with Overdrive 4.0L V6 SMPI DOHC Recent Arrival! 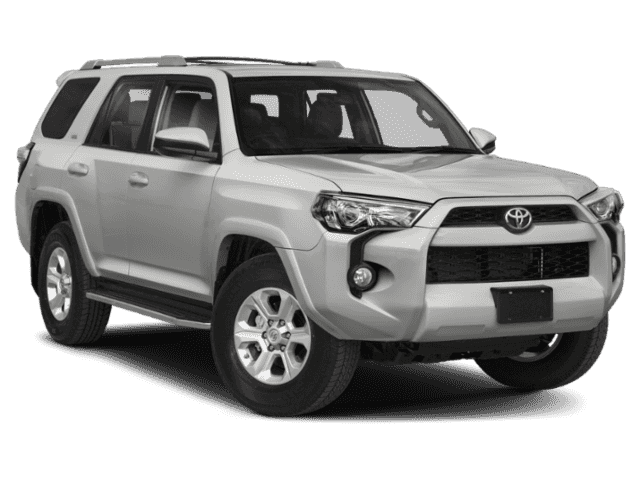 Silver 2019 Toyota 4Runner TRD Off-Road Premium 4WD 5-Speed Automatic with Overdrive 4.0L V6 SMPI DOHC NEW ARRIVAL!!!. 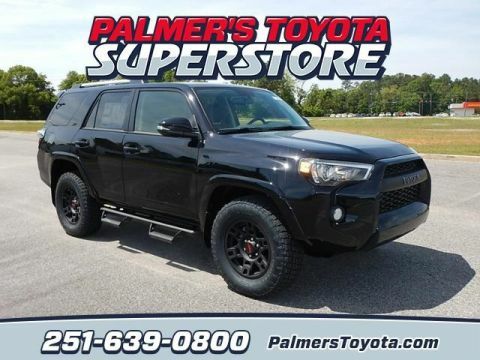 Gray 2019 Toyota 4Runner Limited Nightshade 4WD 5-Speed Automatic with Overdrive 4.0L V6 SMPI DOHC Recent Arrival! In their review of the new Toyota 4Runner, Edmunds notes that “the 4Runner is home on adverse terrain,” and it’s no wonder why! 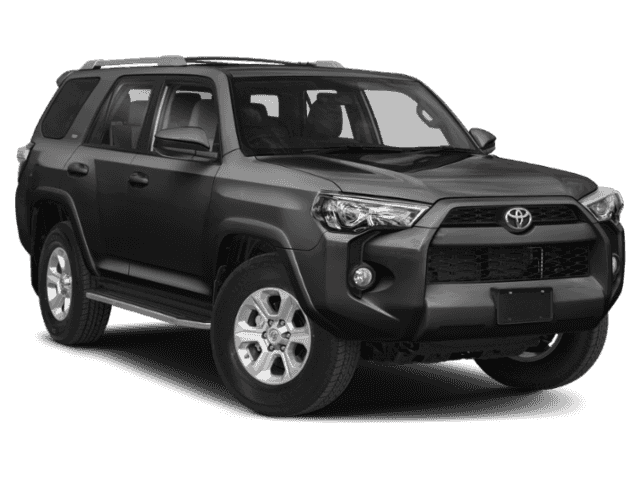 This body-on-frame SUV features a standard V6 engine and an available 4×4 drivetrain, as well as an available TRD Off-Road package that adds a Kinetic Dynamic Suspension System (KDSS) and a locking rear differential with Multi-terrain Select and Crawl Control. Plus, you’ll have plenty of room for cargo inside the cabin and access to technology like the latest Entune™ infotainment system. 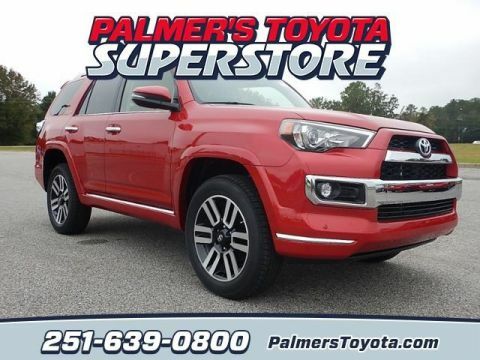 Come tour the new Toyota 4Runner, along with the rest of the new Toyota SUV lineup, at Palmer's Toyota Superstore today, and find out about our impressive financing and lease options while you’re here.